The Moqattam district, where many Zabaleen live. Photo courtesy Peter Dench. There are informal economies filling gaps between reality and public or commercial services in every society. New York once had its black cabs to fill the void between people who needed jobs and those who couldn’t get a taxi. India has “tiffins”, a system of local women preparing and distributing home-cooked meals for hungry workers. And in South Africa, unregistered money lenders known as “mashonisas” remain a popular source of credit. But there’s nothing I’ve seen yet like Cairo’s “garbage people”. 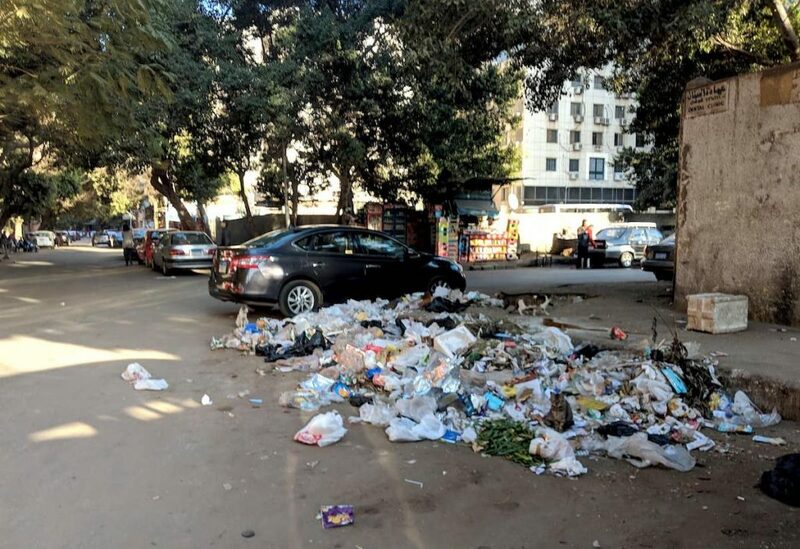 The Zabaleen (زبالين‎), derived from the word for “garbage” (zibaela, زبالة), are Cairo’s informal garbage collection and disposal system, and the whole thing is so insane it can’t be summarised in one sentence. Cairo’s Zabaleen are a community of 50-100,000 people, mostly Coptic Christians, who live outside Cairo and have for generations driven small carts around the city to collect trash, which they take back to their community, where they live among it as they sort it for consumption, recycling or disposal, from which they eke a meagre profit. “Someone”? A cleaner? The doorman? Nope, none of the above: it’s the Zabaleen. 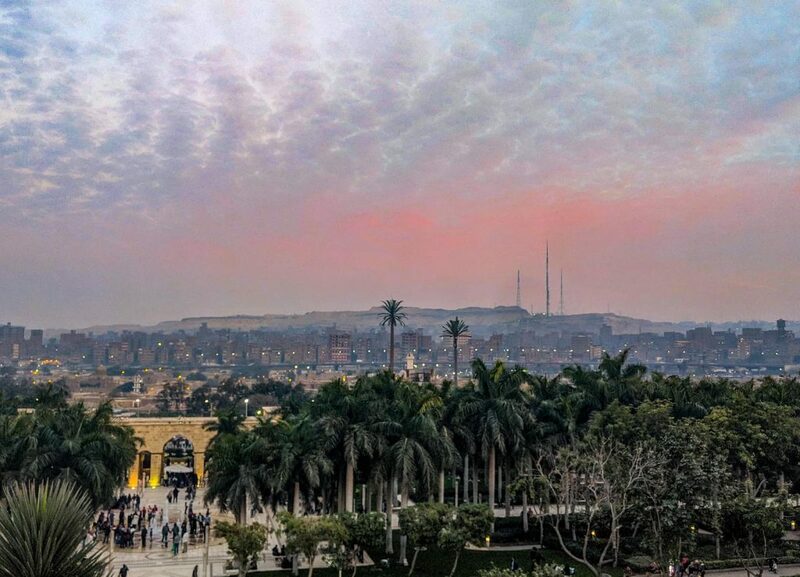 If you’re interested in this, you might also like reading a few other things nobody told us about living in Cairo. A view over the Moqattam, the mountains in the background. The Zabaleen are a community of people who largely live in foothills of The Moqattam (المقطم‎), a mountain range in the south east of Cairo, who are responsible for Cairo’s trash collection and processing. The Zabaleen also live in other parts of Cairo, and number 50-100,000 in total*, but about half of them are in The Moqattam. Not all people who are residents of the area are in the waste management business. For this reason, they generally prefer to go by “Zarraba”, or “pig-keepers”. This is to disassociate the region from the profession, though the two often do go hand in hand. It’s one small attempt at reclaiming their destiny and rooting their identity in something other than other people’s garbage — an identify foisted on to them by perceptions from the outside. 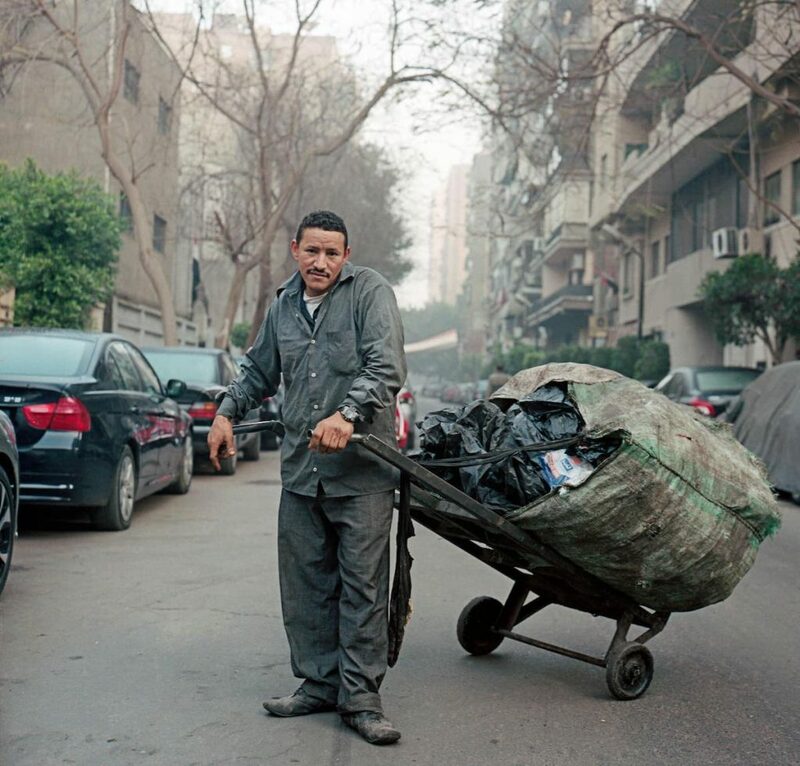 Why would all the garbage collectors in Cairo live in one part of town? Simple — because it’s where they process the garbage. They live among it, with community members processing what others collect. More on the health implications of this below. The system of Zabaleen (the profession, not the people) originated in the 1900s, when the Wahiya people migrated from Egypt’s western desert region to Cairo. They retrieved trash, which was in those days flammable (with looser controls on pollution, and definitions of “flammable”), and sold to street vendors who would use it for stove fuel. Cairo exploded in population, and in the 1940s, a new wave of migrants came from Upper Egypt, particularly around Asyut. The Wahiya’s position evolved into that of middlemen, and they began subcontracting waste collection to these migrants (a situation that has always caused friction). Since then, this generation of migrants from Upper Egypt have been Cairo’s Zabaleen, with the Wahiya having retained their role as brokers between apartment owners and trash collectors. The system has been informal for most of this period. The Zabaleen collect fees, pay the brokers, collect the trash and are free to dispose of it as they please — either by discarding it, on-selling it or processing it themselves. Waste management has become the inherited work of many of the Zabaleen. It’s passed down between generations. Some claim you’re born a zabaleen, and that implicitly becomes the job you inherit. It’s not that you can’t escape; but most Zabaleen don’t make much money. And it’s not that you can’t make a lot of money (some do), but most don’t. And likewise, people do join the Zabaleen, when economic circumstances dictate. The fact that they’re “informal” trash collectors had its pros and cons. On the one hand, it was cheap, and everyone benefited. Those who needed trash collected would pay a small fee to the Zabaleen to collect it. The Zabaleen provide a door-to-door service — they actually come up stairs of high-rise apartment buildings and pick up trash for just a couple of Egyptian pounds. On the other hand, the informal arrangement meant that trash collection was often incomplete. People didn’t have to pay for the Zabaleen to collect garbage, and sometimes didn’t. Landlords could even pay for Zabaleen to not collect trash from a tenant they were trying to evict. Cairo is known for being strewn with trash, even in fairly central areas of town. Not just occasional bits of trash (which are visible), but at times, large piles of it, accumulating and waiting for collection. Trash accumulating in a good neighbourhood in Cairo. This pile was there for days before the Zabaleen collected it. * Reported numbers vary, with some going above this range, but most within it. The most remarkable thing is the efficiency with which the Zabaleen recycle. According to one study, the Zabaleen recycle up to 80% of the waste they collect. This is in part due to selective retrieval, and in part just due to diligence. International processing companies, by contrast, recycle only approximately 25% of waste, and were held to a lower standard of 20%. The efficiency of the Zabaleen stems from the fact that they sort everything by hand, consume all the organic waste and process all the trash for sale. They only acquire what they can process, but they process as much as they can. Originally, in the 1940s, the Zabaleen would simply collect the waste and use only the organic matter, which they’d feed to their pigs (the vast majority of Zabaleen are Coptic Christian and thus have no problems with pigs). The pigs provided a source of profit to them, something which continues today. However, they soon found another income stream. Local companies began visiting the Zabaleen neighbourhoods to buy inorganic matter (paper and scrap metal) so they could reprocess it and sell it. This provided an incentive for the Zabaleen to do waste sorting themselves. In the 1980s, a few forces came together that enabled the Zabaleen to start processing the waste themselves. An NGO called the Association for the Protection of the Environment (APE) was formed, which began collecting donations to support the Zabaleen’s efforts to industrialise. Micro loans came were provided in coordination with a World Bank program. Another organisation, CID consulting, set up programs to educate the Zabaleen on the latest waste management and recycling concepts and technologies. Alongside this, they set up an anti-counterfeiting program, where rather than selling empty shampoo bottles to unscrupulous buyers who’d then on-sell them to manufacturers of fake shampoo, they’d sell them back to the owners of the brand names (e.g. Procter and Gamble). This may give you a little more insight into the way Cairo (and developing countries) work. Since then, while a lot of sorting remains done by hand, there are significant waste-processing businesses in the Zabaleen neighbourhoods that process scrap plastic, metal and paper for re-sale, all at high efficiency. 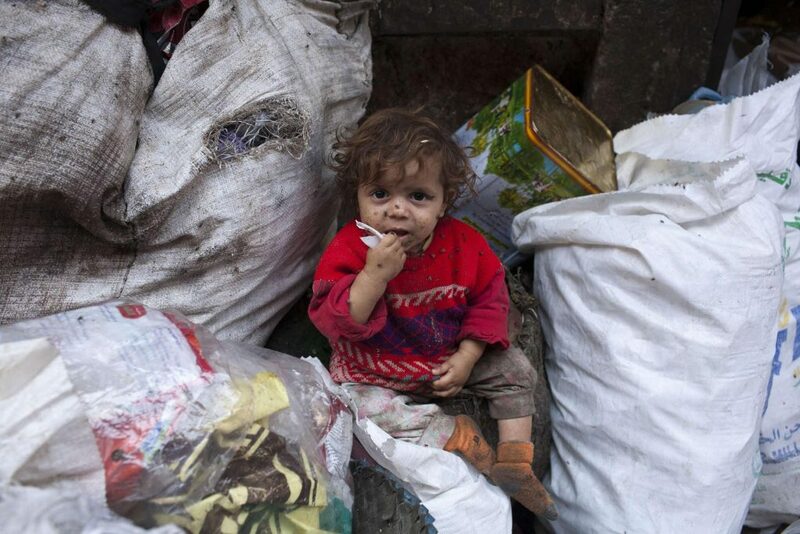 A child sitting in trash in Moqattam. Photo courtesy Peter Dench. Every foreigner who visits Moqattam describes it with a degree of shock. Photographer Peter Dench, who generously contributed his photography for this piece (see his site for more), describes it as “very confronting” and “one of the most extraordinary and hellish places on earth”. The surprising thing is that the Zabaleen are not the poorest people in Cairo. You would assume so from visual inspection, but the Zabaleen historically made decent money, in a country where stable jobs are a rarity and incomes are low in general. But many who have been Zabaleen for years own property and have predictable work and are generally content. But despite this, the reality of life as Zabaleen is confronting. They and their families spend their days surrounded by garbage. The men traditionally collect it from urban Cairo in shifts, while the women and often children sort through it. Sorting garbage is hazardous work. The general low income level of the Zabaleen exacerbates the matter, and the net effect is that diseases including hepatitis C, diabetes, anaemia, and glaucoma are common. One of the more disturbing causes of illness in the Zabaleen is medical waste. Before regulation increased recently, the Zabaleen were a key processing point for illegally disposed medical waste, including syringes dumped from hospitals containing infected blood. Fortunately, this practise is decreasing as awareness rises from the education efforts of local NGOs. The vast majority of people in Zabaleen districts like Moqattam still lack all basic services: clean water, sewage, health and education services. NGOs are taking on what they can, most notably health and. The APE runs programs especially for the women, focusing on awareness, treatment and prevention programs on good health practices. They also run health programs, providing HIV prevention education and treatment clinics. But in general, the Zabaleen are a proud people, with strong identity and ties to much of Cairo for generations. 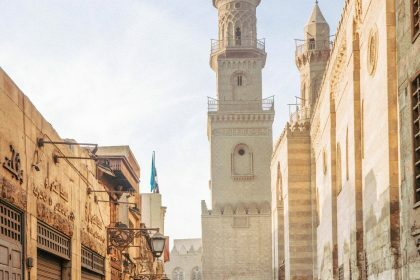 While many are first confronted with the living conditions of the people in Moqattam, a closer look will see as strong and tightly-knit a community as any other, one that is integral to Cairo and part of both its past and present. A street artist who goes by “eL Seed” tried to convey this through a project called “Perception“. 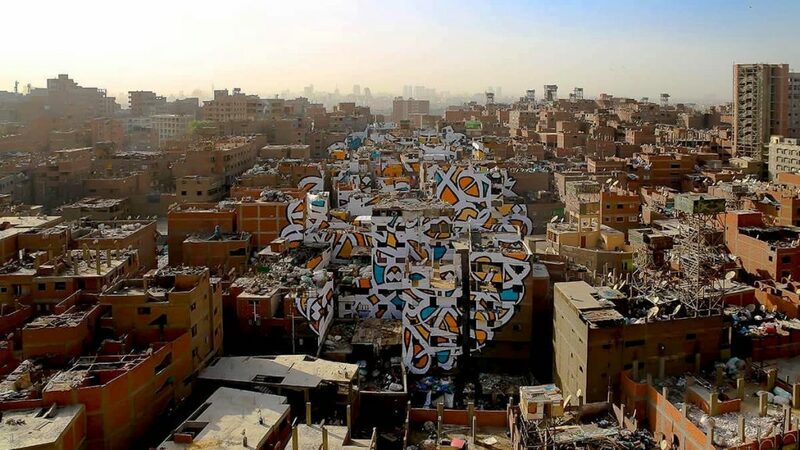 He and a team of co-conspirators painted a “calli-graffiti” phrase on 50 buildings of Moqattam, that only becomes visible when you see it from the right angle, from outside. It had to be done in secret from the government (though in collaboration with the local community, all of whom knew about it) because of a crack-down on street art in Cairo. The Egyptian local and national government has tried to professionalise waste management — without success. In 2004, the Mubarak government decided to contract waste management to four international firms. This was supposed to be more efficient, but it never became more efficient. Many residents hated the change, partly because of tradition, but partly because municipal fees for trash collection were triple what the Zabaleen charged, and were automatically billed to people via their electricity bills. Rather than collect trash door-to-door, the multinational companies installed waste bins in neighbourhoods of Cairo for residents to use. This was asking more labour of Cairo’s residents, as well as charging them more for it. Naturally, the residents weren’t happy. They were used to their door-to-door service. The problem was, the residents didn’t want to double up in fees. So the Zabaleen were forced to reduce their fees to a quarter of what they previously were to still have an attractive service. And then work longer hours to make not as much money. They weren’t happy. The Zabaleen did have the option of working for the waste management companies, but in this arrangement they could only get paid for collection, not processing — which meant a 90% pay cut. Meanwhile the companies and governments did subcontract waste collection to the Wahiya, who reportedly pocketed the additional money and continued to contract the work to the Zabaleen, an arrangement that left everybody unhappy. The Egyptian government has tried another way of getting rid of the Zabaleen: getting rid of the pigs. When swine influenza was spreading in the late 90s/early 2000s, Egypt decided to kill all its 300,000 pigs, although there had been no cases of swine flu in Egypt. International agencies quickly criticised the Egyptian government, saying that pigs were not spreading the illness. But Egypt didn’t stop its cull. The government promised it would be a humane process, butchering the pigs according to Islamic law and then freezing the meat. This wasn’t the case; it was almost too barbaric to repeat in print, with the pigs beaten, stabbed and dumped into pits. If you’re even vaguely sensitive, don’t go looking for the videos. But they’re there on Youtube. The comments on them are mostly in Arabic and hysterical, with many vocally pointing that violence against animals is forbidden in Islam. The savagery prompted an outcry in both Egypt and around the world. But the killing never stopped. The government changed its tune, saying it was no longer acting just to prevent swine flu, but that it was carrying out part of a plan to clean up the Zabaleen, to finally get them to live in sanitary conditions. Something that was needed, though the means chosen — savagely killing hundreds of thousands of animals, annexing people’s livelihoods and in the process failing to prevent swine flu — was questionable at best. 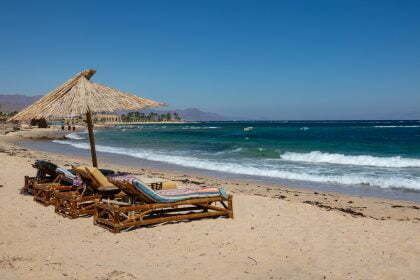 The good news is that the Zabaleen have been restored some of their former opportunity. The contracts with multinationals ended in 2017. 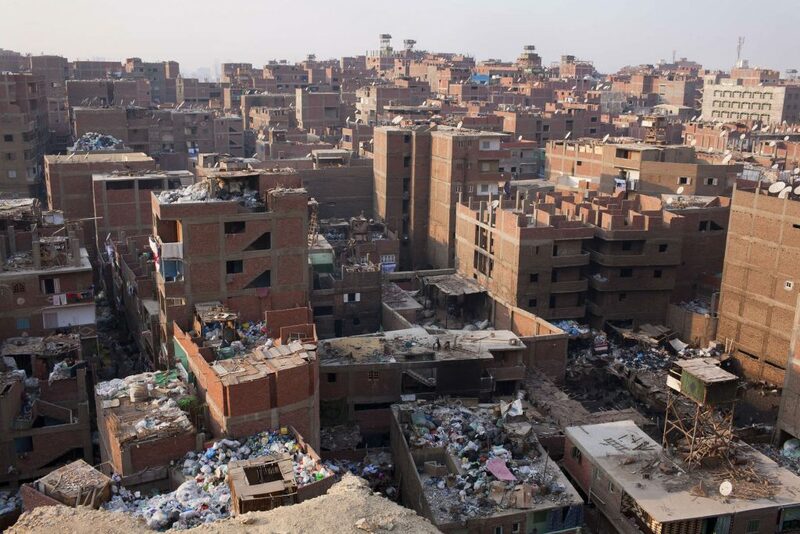 Egypt’s government recognised that taking that approach was a misstep, and they needed to solve Cairo’s waste problems themselves. In the past, some of the Zabaleen had formed companies. They had invested in waste-processing technology, like metal and plastic recycling machinery, and have built considerable businesses out of it. Unfortunately, those were the exception. In general, the Zabaleen lacked the resources (and often the education) to form companies. However, this willingness of the government to work with the Zabaleen presented an opportunity for them to formalise their work. But how would they do this? Some community organisations, like Spirit of Youth, took it upon themselves to work with the Zabaleen to help them form companies. 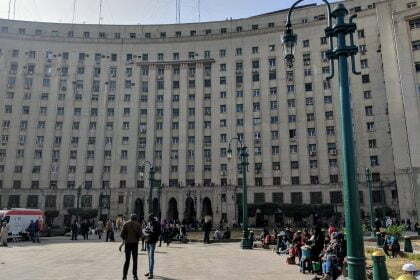 Now, over forty Zabaleen individual companies are contracted by the government to work around Cairo. Working officially means being taxed, but it also means much higher fees, as well as uniforms, government vehicles and even a training program. And most importantly, a secure platform for their future. There’s still some resistance, particularly from the old-fashioned Zabaleen who prefer to work informally (and from the Cairo residents who support them). Partly they fear change, and partly they are used to navigating the pitfalls of a system they understand, even if it doesn’t serve them best. The maddening part, to me, is that no one party is held responsible for waste in Cairo. Many are complicit, from the manufacturers who continue to create and market waste-intensive packaging, to consumers who buy commercial products in vast quantities with no efficient way of disposing of the waste, to the government who has failed to solve the problem that most countries in the world of this scale have now solved, to the contractors who aren’t incentivised to solve it effectively or completely. But it’s good to know that in general, the Zabaleen have a future. Software entrepreneur, motorcycle junkie, coffee nerd and adventure traveler. I speak seven languages, including at least one that'll surprise you. Become a Discoverer. Learn to Live Anywhere. 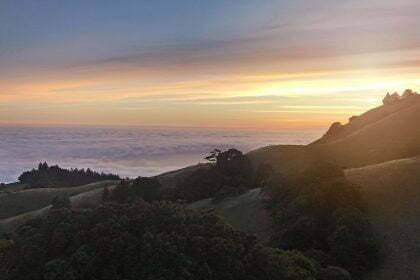 Learn languages, master new skills and learn to live in unfamiliar places. 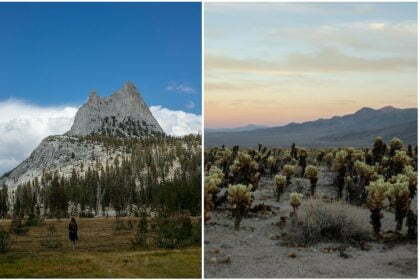 We write guides for people who want to “Discover Discomfort”.